After Sucre, we didn’t have a lot of plans until our upcoming flight to Argentina to start exploring the eastern side of the South American continent. But we did have some extra time in Bolivia, since we’d allowed plenty of buffer for potentially difficult transport issues and delays and hadn’t needed any of it. 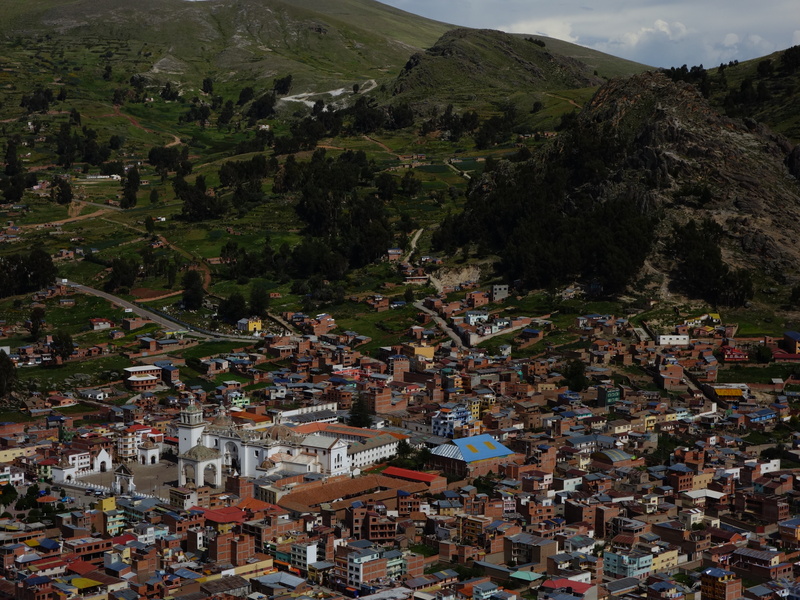 It seemed silly to spend it all in La Paz – there wasn’t a lot else that we wanted to do there. So even though it’s normally visited as a pitstop on the bus from Peru into Bolivia before proceeding on to La Paz, we headed down to Copacabana. Copacabana is a tourist town on the side of Lake Titicaca, so at the very least, the trip would give us the opportunity to make juvenile jokes about the name “Titicaca”. 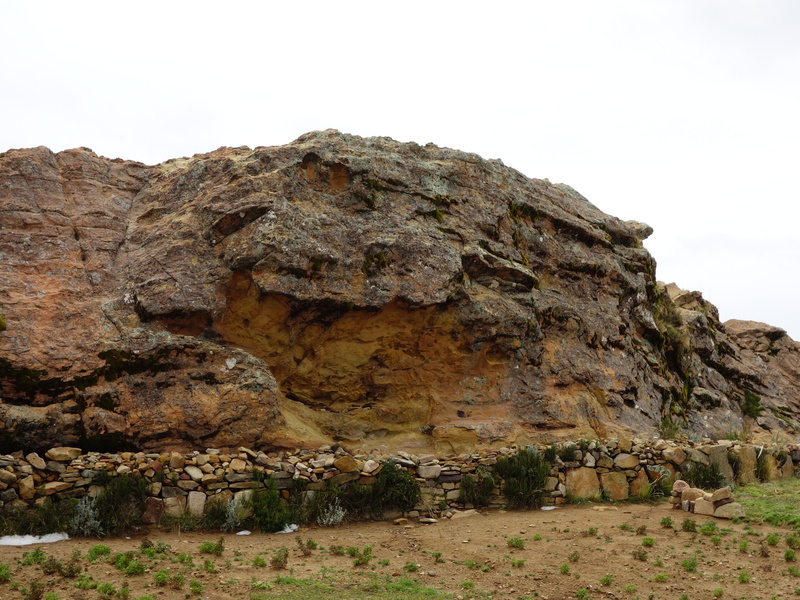 At the risk of continuing an already not ecstatically enthusiastic set of blog posts about Bolivia, though (except for Uyuni), it just isn’t a very interesting town. Cheap, yes. Pretty, reasonably. Full of hippies who seemed to be thoroughly enjoying their time there, tick. But nothing particularly setting off my fun-o-meter, I’m afraid. 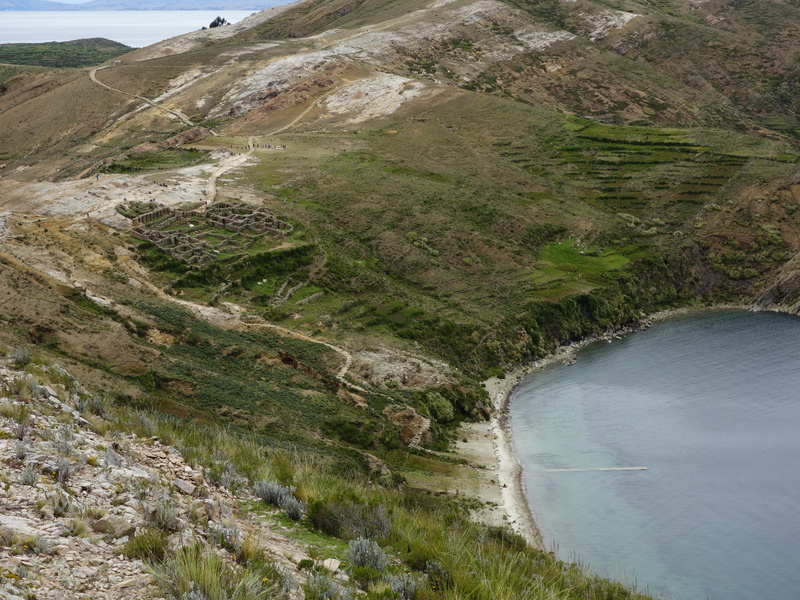 One of the must-dos from Copacabana is a boat trip across to the Isla del Sol (Island of the Sun), one of the oldest holy sites of the ancient Incas. Unfortunately, that too was a bit boring: the ruins are really not much to look at at all, and I really didn’t feel that the fact that they were older than many other sites made up for their lack of, well, content. This hole in the rock (centre) is supposed to look like a puma. It’s one of the main features on Isla del Sol. Exciting stuff, no? The main set of ruins on Isla del Sol (top left). Unfortunately not really worth the trip, I’m afraid. And that’s about it, really, sorry to say. Copacabana gets a thumbs-down from me: unless you really want to see the cathedral, find somewhere else to spend your time and money. This entry was posted in Travel and tagged bolivia, copacabana, isla del sol by Sam Roberton. Bookmark the permalink.